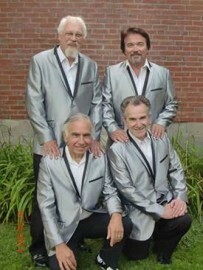 The Rockin’ Daddios will bring you back to a simpler time with songs from the 1950s and 1960s when they perform at Taylor Community Monday, June 29 at 6:30 p.m.
You’ll be guaranteed to smile, tap your feet and sing along with the true American sound of Doo-Wop as memories of Sock Hops, Drive-In Theatres and Malt Shops run through your mind. This free event is open to the public and will be held in Taylor Home’s Atrium. Please RSVP by calling 524-5600 Monday through Friday between 8 a.m. and 4 p.m.
Come and relive the good times of the 1950s and ‘60s with the Rockin’ Daddios!